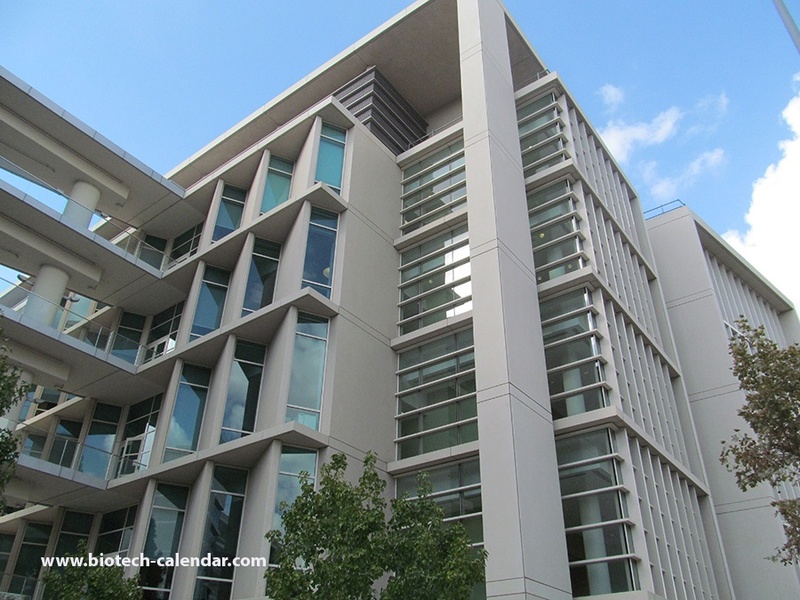 Biotech labs are invited to the University of Southern California BCI event. 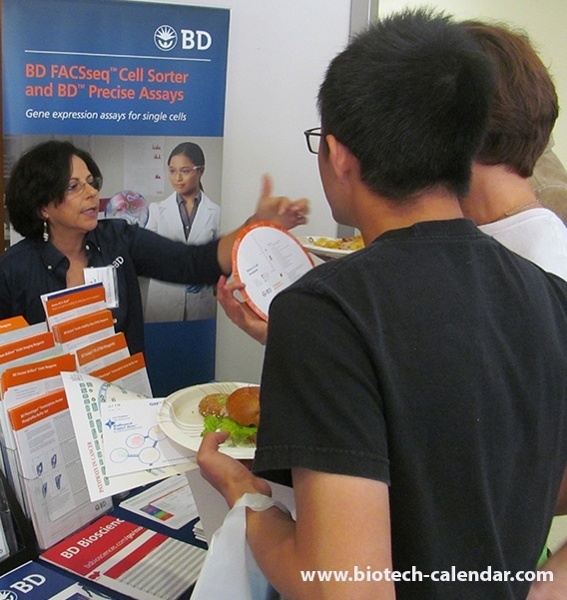 Life science researchers procure information about chemistry lab equipment offered at BCI event. 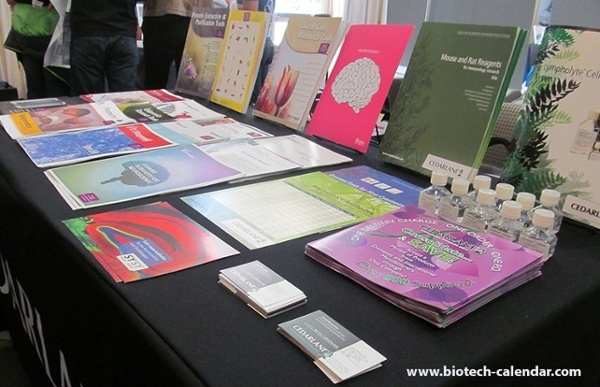 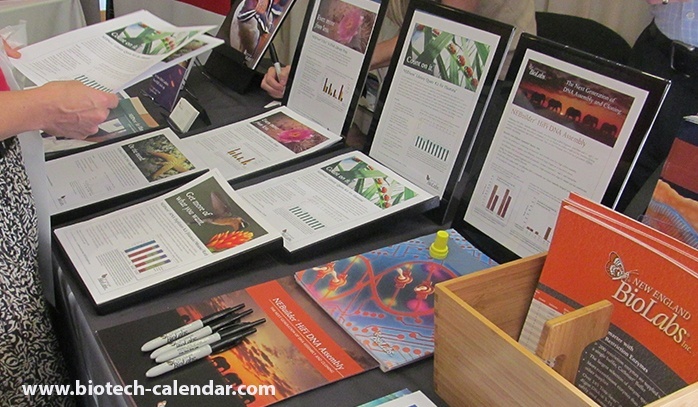 Product marketing is used at biotech event for potential purchasing life science researchers to review. 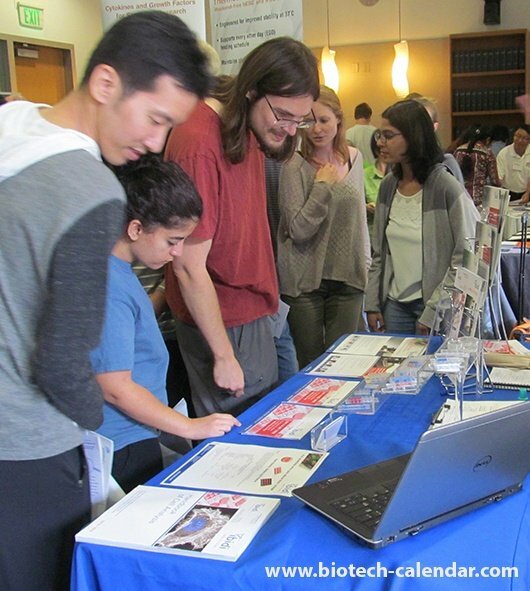 Research assistants look over science news at the BCI event. 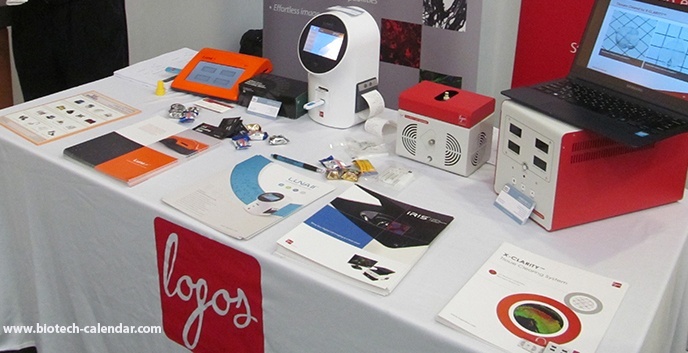 Logos Biosystems at the biotech event display lab equipment for life science researchers to view. 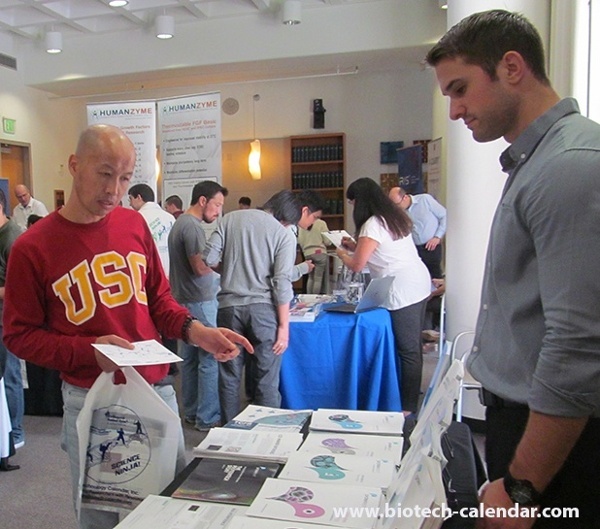 Research assistant takes a moment to procure information from lab supplier at the biotech event. 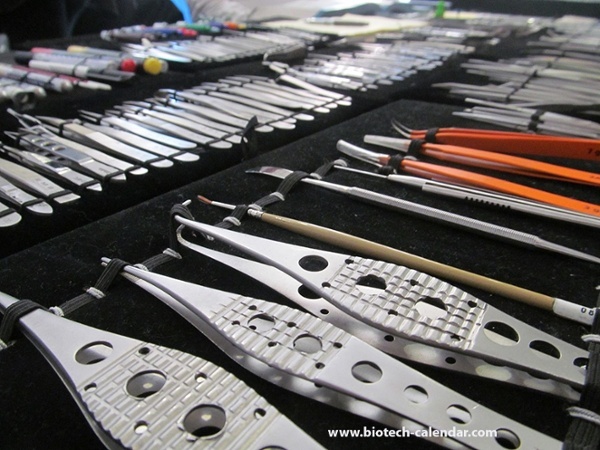 Laboratory equipment on display at biotech event for life science researchers to purchase for use in their labs. HumanZyme lab supplier explains to life science researcher how HumanZyme's science lab supplies work in lab. 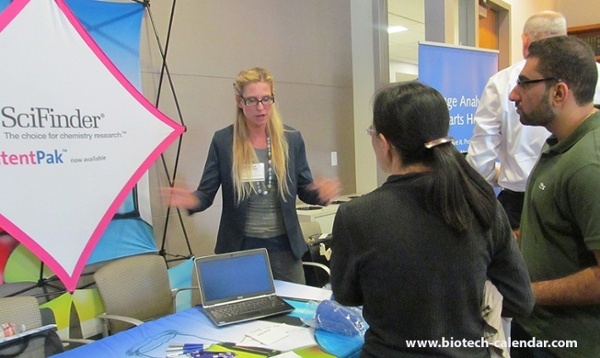 Marketing research at the biotech event gives life science researchers and research assistants a chance to procure information for a possible purchase of lab equipment. 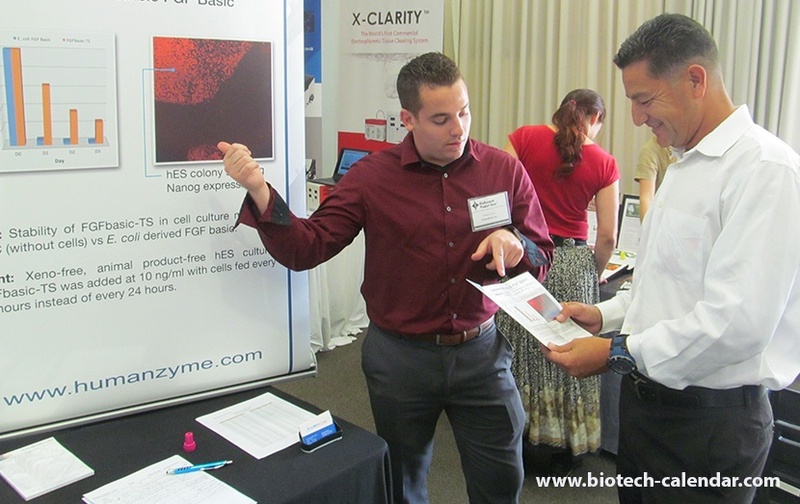 BD lab supplier explains new lab equipment that is available for purchase while resaerch assistant eats a 5 star lunch at biotech event.